Sitting at the top of Vizio’s budget lineup, the P-series has long been the brand’s value proposition for premium performance. While Vizio does sell a single showcase line above the P-Series that exceeds the $2,000 mark — formerly in its Reference series, and now in the quantum-dot loaded P-series Quantum — those seeking a big, beautiful screen on a budget will find the regular P-Series TVs are as good as Vizio gets. And it didn’t take long to discover that Vizio’s new 65-inch P-Series, the P65-F1, is the best from the lineup. Along with stunning 4K UHD and HDR performance, the new P-Series offers a solid collection of features new and old, not least of which is the return of the TV tuner, which Vizio abandoned for two years during in an odd state of HD-antenna denial. That’s right, folks, Vizio’s “displays” are TVs once again. And while the rest of the LED TV world has been improving right along with it, the latest P-Series TV makes a striking case as the affordable 4K HDR TV to buy. 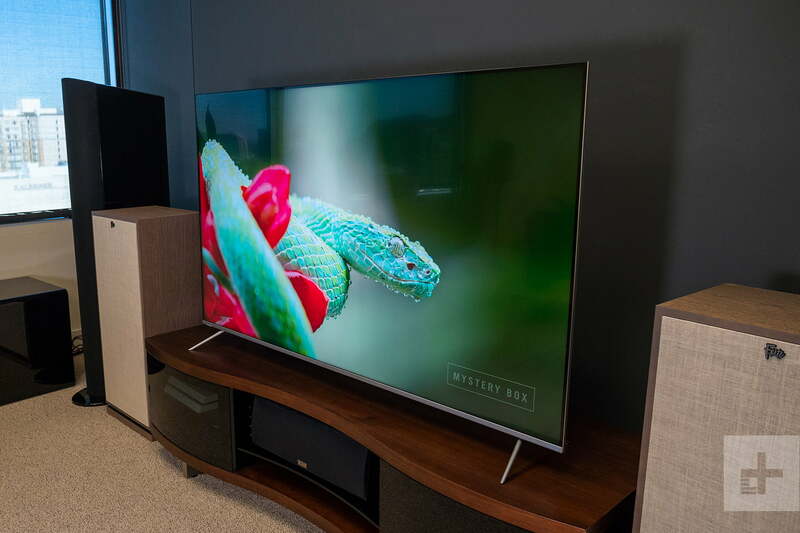 If you’ve never owned (or moved) a 65-inch TV, you may be surprised at just how gargantuan they really are — it’s easy to overlook until you bring one home. The box for the P65-F1 model we reviewed is somehow the biggest we’ve ever wedged into a compact SUV, and at 88 pounds boxed up, it’s no lightweight. That equates to just over 55 pounds for the TV itself, which is just above average for an LED TV with full-array backlighting, a hallmark of Vizio’s lineup. While the P65-F1’s 2.7-inch depth is thicker than some premium LED TVs (or cheaper edge-lit models), it lines up with similar offerings from TCL and others. Fresh out of the wrapping, the P-Series’ new three-sided, bezel-less design feels more premium than last year’s model, while the thinner aluminum feet offer a tad more elegance. We’ve given Vizio plenty of criticism for abandoning TV tuners, so it’s only fair to give credit where credit is due. Unlike Apple’s penchant for “courageously” gutting features and never looking back, Vizio not only realized a tuner was something viewers wanted, but had the actual courage to implicitly say, “Sorry, we’ll fix it.” Cord cutters who rely on antennas to get their local channels now have more available HDMI ports and less reason to dodge Vizio. 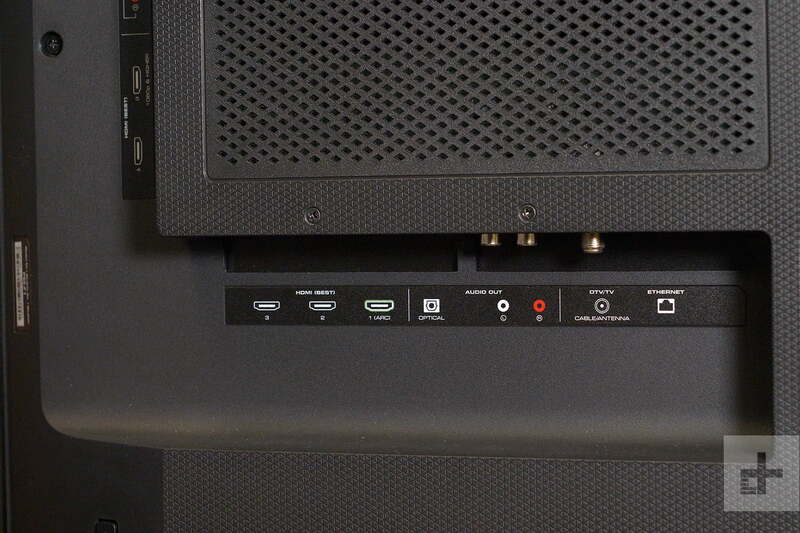 Along with the TV tuner, Vizio offers a ton of ways to connect, including four HDR-capable HDMI 2.0a inputs and one HDMI 1.4 input (number 5), a hybrid composite/component connection, a USB 3.0 port, both optical digital and analog audio outputs, and an Ethernet port to go along with Wi-Fi connection. Our only gripe here is there are only two HDMI ports on the side, forcing you to dig around in the undercarriage for the remaining three. Inside, the TV is loaded with some of Vizio’s best processing tech, including its Xtreme Black Engine Pro local dimming. Full-array backlighting allows for more uniform lighting across the screen than edge-lit displays, and the P-Series’ multiple dimmable zones (100 for the 65-inch, and 120 for the 70-inch), allow the TV to utilize said backlighting to create incredible contrast with minimal “haloing” around bright objects. Those 100 zones are actually fewer than the 2017 P-series we reviewed, yet contrast seems to have improved. We asked Vizio why and got this response: “Improvements to panel performance and to the local dimming algorithm have allowed for a reduction in dimming zones.” In other words, better processing. Right out of the gate, HDR content looks spectacular. Like last year’s model, the new P-Series supports both HDR10 (the common standard) and Dolby Vision, HDR’s more dynamic version that uses dynamic metadata to adjust screen brightness in real time and also allows for a higher color bit-depth. Vizio claims the TV offers up to 1,000 nits of peak brightness, which is the baseline set by the UHD alliance, and a nice offset to the P-Series’ impressive local dimming. The TV doesn’t get as blazingly bright as premium models from Samsung and Sony, but it can seriously stoke the flames under the right conditions. Wide Color Gamut (WCG), which Vizio calls Ultra Color Spectrum, is the finishing touch, providing some of the best color reproduction we’ve seen yet from Vizio. WCG is available with or without engaging the Full UHD Color option in the Input Settings, but if you want to display 4K HDR content with higher frame rates (e.g. streaming and gaming content), you’ll want to engage it in the menu. Speaking of gaming, the menu also offers a new Game Low Latency option, allowing you to decrease lag while still choosing your preferred picture setting. As we discussed in last year’s review, Vizio’s Calibrated and Calibrated Dark picture settings do a good job of displaying a great picture right out of the box. Which to choose will depend on your most common room lighting. Since we watch a fair amount of our TV in bright rooms, we chose a sort of hybrid between the two, backing down the backlight a bit under the Calibrated setting, and making a few minor adjustments to Contrast, Brightness, and Tint. We did occasionally adjust the local dimming from Medium to Low as well — the former offers a brighter image but tended to border on white clipping during sports content. Vizio has made multiple tweaks to its Chromecast-based Smartcast TV interface over the years, including ditching the remote altogether for a tablet-based system in 2016, before reverting back to the hybrid system on the current P-Series, which offers a solid collection of onboard apps and a fully loaded remote to go along with Chromecast streaming from your mobile device. Smartcast has made some improvements this year, including more apps, basic voice control with an Alexa or Google Assistant device, a new WatchFree feature for free streaming TV (similar to Roku’s), and new app functionality for features like text-based entry from your phone. The latter wouldn’t work for us with some apps, including Amazon Prime Video, but that’s likely an issue on Amazon’s side. You can even save and name your own picture settings, though you’ll still have to select it for each source. While the new features are appreciated, the interface was surprisingly sluggish in our testing. Changing picture settings, for instance, would sometimes freeze the screen, causing us to scroll past the setting we were searching for. 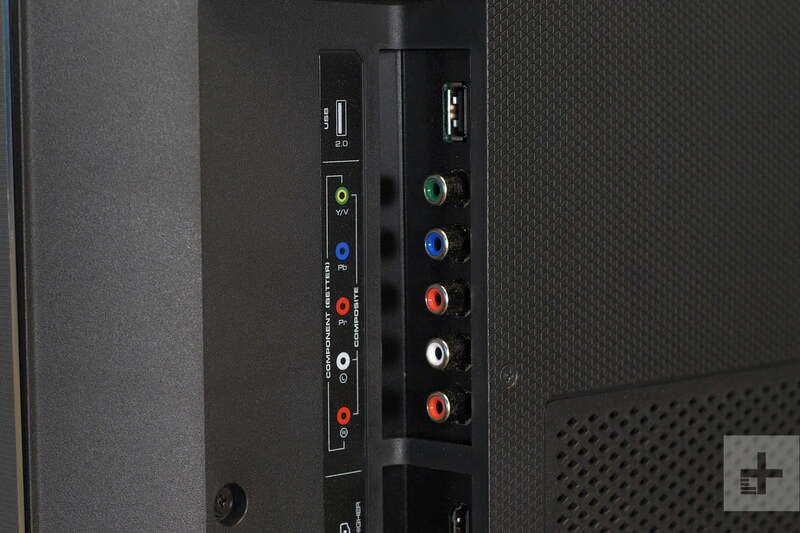 On the input side, the P65-F1 was able to read and name some of our inputs (e.g., our Samsung Blu-ray player and Roku Ultra), but others, like our Oppo UDP-203 Blu-ray player didn’t show up. The system also doesn’t seem to know when an input is hot or cold, forcing you to page through inputs that aren’t connected. That’s a feature even our 2013 Samsung plasma mastered, so it’s notable that a 2018 TV can’t match it. While Smartcast is getting there, we still prefer the speedier interfaces you’ll get from Samsung and LG, and the dead-simple Roku interface on TCL’s best models. On the bright side, setup is a breeze, and the TV seems to offer more consistent Chromecast streaming from Netflix, YouTube, and others than in previous years. It’s easy to forgive some interface hiccups, however, as the P65-F1 offers the most impressive picture performance we’ve seen from P-Series to date, edging out top budget options like TCL’s 6-series, and even holding its own with pricier TVs like Sony’s X900F. 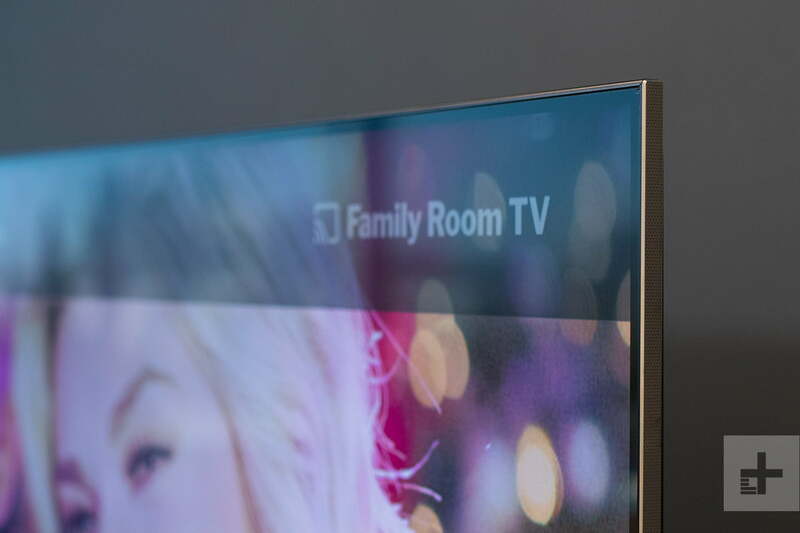 When fed the right content, this TV is stunning, delivering obsidian black levels, sparkling bright whites, and deep, realistic color shading. When fed the right content, this TV is simply stunning. Right out of the gate, let us assure you that HDR content — especially Dolby Vision fare — looks spectacular. Marco Polo offered multiple opportunities for the TV to show its mettle, from battle scenes amidst lush green hillsides and near-perfect skies, to shadowy meetings in tents around spitting flames. Another streaming treat utilizing Dolby Vision was Amazon’s Jack Ryan, which was displayed with crystalline clarity and impressive color shading in the slow moments, and cutting, white-hot explosions in the battle scenes. While there are plenty of key features to crow about, among the most impressive is the TV’s screen uniformity, which is one area where TCL’s highly regarded 6-Series (at least the one we reviewed) couldn’t keep up. Sports offer among the best testing grounds for uniformity, and after a full day of NFL RedZone’s miles of green turf, we didn’t notice or even think about the kind of dirty image spots and columns commonly associated with budget LED TVs. The one exception is off-axis viewing which, as expected in an LED TV, drains colors, worsens contrast, and more easily reveals uniformity issues. The P65-F1 is also quite impressive in the shadow lands, digging up plenty of detail in the dark, even in fully lit viewing environments. We did occasionally wish we could fine tune a bit more (especially when adjusting the Contrast and Brightness) to keep the inky blacks while limiting crushing, but frankly, there’s just not much to complain about when it comes to the picture. We were constantly impressed with how much quality we were getting for the money; from the golden shaded throne-room in Guardians of the Galaxy Volume 2, to the pastel collage of Sakaar in Thor: Ragnarok, to a full Sunday of NFL Football, this TV delivers. We hate to end on a down note, but we’d be remiss if we didn’t mention that the P65-F1 offers some of the worst sound we’ve heard in a modern TV. Tinny, distorting sound is the norm, and we honestly couldn’t get through even an hour of testing without swapping in our KEF LS50 Wireless speakers. If you don’t already own one, do yourself a favor and pick up a soundbar with your purchase — heck, some box stores bundle them for free these days. Certainly consider a Vizio soundbar if you do, though, as the company makes high-value soundbars just as well as it does TVs. Vizio’s 2018 P-Series is a visual dynamo, providing the absolute best value in video performance from the brand yet, and arguably the best picture quality you can get for the money. We’re still slightly disappointed with Smartcast, but it gets the job done, and the return of the TV tuner is a win for everyone. The obvious rival is one we’ve brought up throughout our review, TCL’s 6-Series TVs. While they don’t offer equal picture quality, they stand up well at their lower price, and their Roku interface is among our favorites. While we haven’t yet reviewed it, we also expect Vizio’s step-down M-Series TVs to impress this year (if the P-Series is any indication, anyway), so they’re definitely worth throwing in the mix. With all three primary HDR formats, class-leading performance, and modern features, the P-Series is well future proofed. With proper care, we expect the TV to last a long while. Yes. While Smartcast is still a weak point, those looking for the absolute best picture quality available on a limited budget will find it right here on P-Series avenue. Updated 10-15-2018: Changed copy that sited pricing for Vizio’s 55-inch P-Series at $1,000. Vizio’s website originally listed it at $1,000 MSRP but has since changed pricing to $800 MSRP.